Great basic cake recipe, very popular in Portugal. Can be served alone or with fruit. 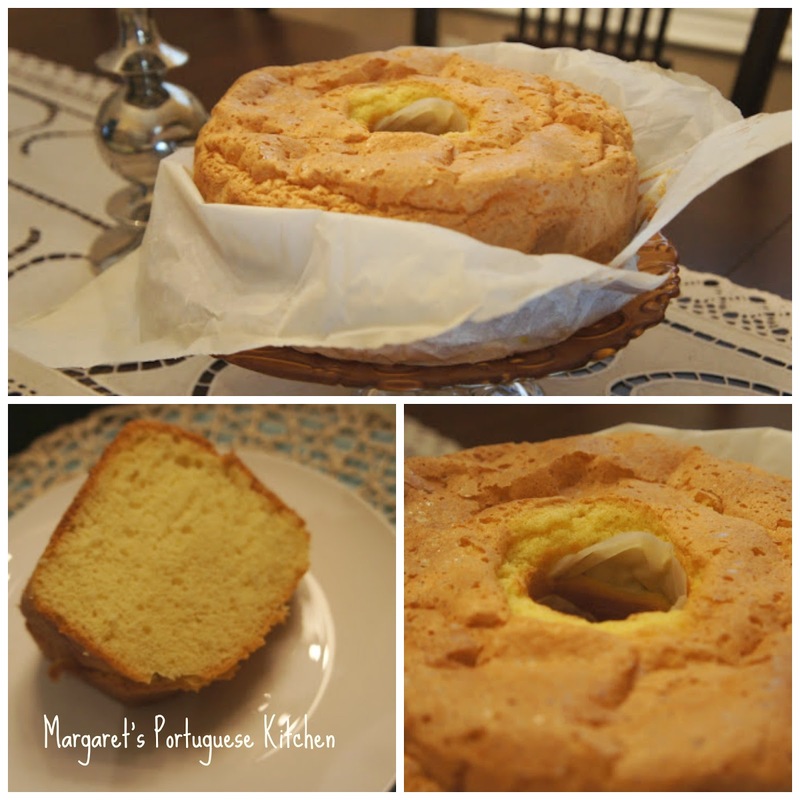 There are many recipes out there for this sponge cake but all have the same basic ingredients. 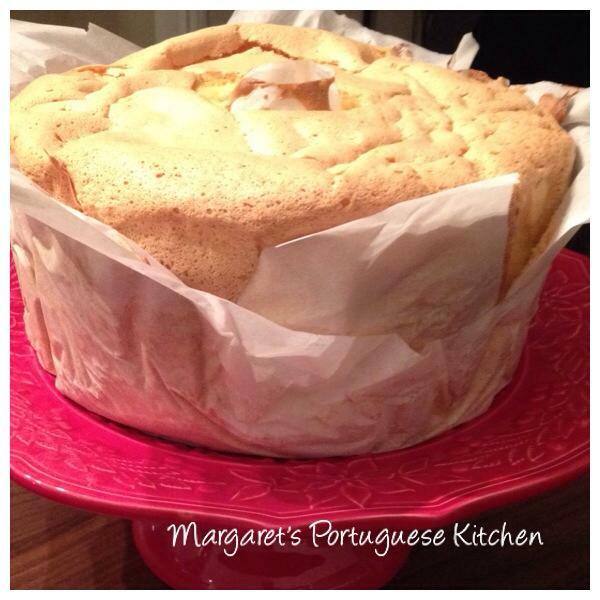 This particular recipe came from “Uma Casa Portuguesa” by Carla Azevedo. Beat eggs in electric mixer with salt until light, gradually beat in sugar. Continue beating for about 20 minutes, mixture will be very thick. Mix flour and baking powder together in a bowl and add to egg mixture one spoonful at a time, have your mixer on the lowest setting while doing this. Blend well after each addition. Pour batter into a 10 inch tube pan that has been greased and lined with parchment paper. Bake in 350 degree oven for 40 minutes. Let cool in pan for 10 to 15 minutes. Remove and peel off parchment paper. I have also made this cake with out the paper and there is no difference, using the paper is just more traditional. Beat eggs in electric mixer with salt until light, gradually beat in sugar. Continue beating for about 20 minutes, mixture will be very thick. Bake in 350 degree oven for 40 minutes. Let cool in pan for 10 to 15 minutes. Remove and peel off wax paper. Hi Sandra, thank you very much for your kind words. Feel free to link up to any of the recipes on the blog. Looking forward to having a look at your website.